Prior to joining Strategic Advisors, Mr. Wissinger was Managing Director and Head of the Pittsburgh office at Valuation Research Corporation, an international valuation services firm focused on merger & acquisitions, financial restructuring and fairness and solvency opinions. Prior to Valuation Research Corporation, Mr. Wissinger was a Co-Founder, Principal, and Managing Director of Commonwealth Capital Group, L.P., a regional private equity fund dedicated to alternative asset investing in micro-market industrial businesses. 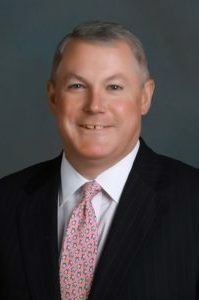 In addition, while associated with Commonwealth Capital Group, Mr. Wissinger became President and CEO of a portfolio company of the fund and was responsible for managing all business operations, sales activities and product development. Mr. Wissinger has originated, structured and executed equity transactions with companies ranging from small, closely-held businesses to divisions of international, multi-billion dollar public companies. Mr. Wissinger has developed a significant national network of equity investors and mezzanine and debt providers. Other experience includes a number of years at Arthur Andersen, LLP and Mark I. Wolk and Associates, P.C., a boutique investment banking and financial consulting firm. At Arthur Andersen, Mr. Wissinger was a Senior Manager within the Economic and Financial Consulting practice where he conducting financial valuation studies, investment banking services and restructuring consultation. At Mark I. Wolk and Associates, Mr. Wissinger was a Director and ran the New York office and was responsible for originating and completing valuation analyses and corporate finance engagements with middle market clients. Mr. Wissinger currently serves on the Board of Directors of McKees Rocks Industrial Enterprises, Inc. Mr. Wissinger received his Bachelor of Business Administration degree from Roanoke College.